What if you could look at life insurance differently – not just as an expense, but as a true asset. There’s a new breed of life insurance. One that can provide traditional benefits AND the ability to grow your money within the policy. Where does life insurance fit in YOUR portfolio? Download this document to discover the cash value component that allows you to save on a tax-deferred basis, and then potentially access your money tax-free. 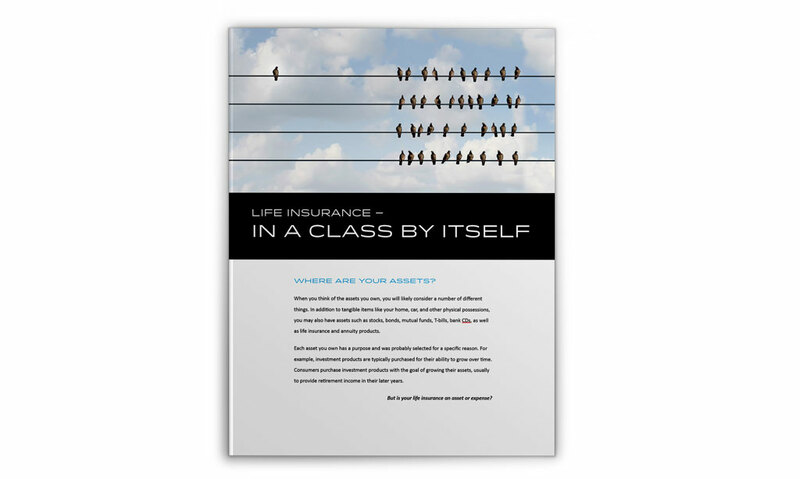 Because life insurance is not just an expense – it can be a valuable asset too. South Shore Retirement Services is a full-service retirement firm with over thirty years of experience helping to find real-world solutions through the use of insurance and investment products and strategies to address the concerns facing retirees of today and tomorrow. We help take the stress out of planning because we have a team that offers a variety of solutions under one roof.